This weekend Real Madrid 2004 played at the Sunnyvale Alliance Soccer Club Medina Fall Classic 2018. The boys played a total of four games, scored 17 goals (5 against); taking home third place. Congratulations to all players including those that committed to help the team from UC Legends 2004 and Real FC 2005! UC Premier Barcelona 06G were finalist at this year’s Heatwave tournament. Barcelona had an amazing tournament for the third year in a row, resulting in being 06 finalists and 07 champions. I would like to thank UC Premier for a well organized event, and at the same time recognize my girls, assistant coach Hugo Alatorre, Norma Villegas Manager ( Boss) and the entire Barcelona 06G family. Barcelona 06G is proud to represent UC Premier! Ernesto Villegas, Head Coach. Congratulations to Union Ci ty Premier’s REÁL 05 Boys for winning 2nd Place in their first ever Premier bracket tournament participation at the MVLA SPRING CUP tournament. n bracket divisions going from Bronze, Silver, Silver Elite, Gold, and just this spring to Premier division. Although the start of this spring season was rough with some pretty significant blowouts, these boys have been able to dig deep and re-group both physically and mentally to bring much more fierce presence and competition to the field, with this weekend’s 2nd place tournament achievement proving just that. Coach Manuel Valle couldn’t be any prouder of these boys. GO REÁL!!! Second place @ Heat Wave Tournament! Union City, CA–Congratulations to the Union City Premier Scorpions 07B, they clinched the championship title this morning, Region 3/4 Silver Elite, with a win over the Tecos Wolfpack 6-1! Congrats to the entire squad! 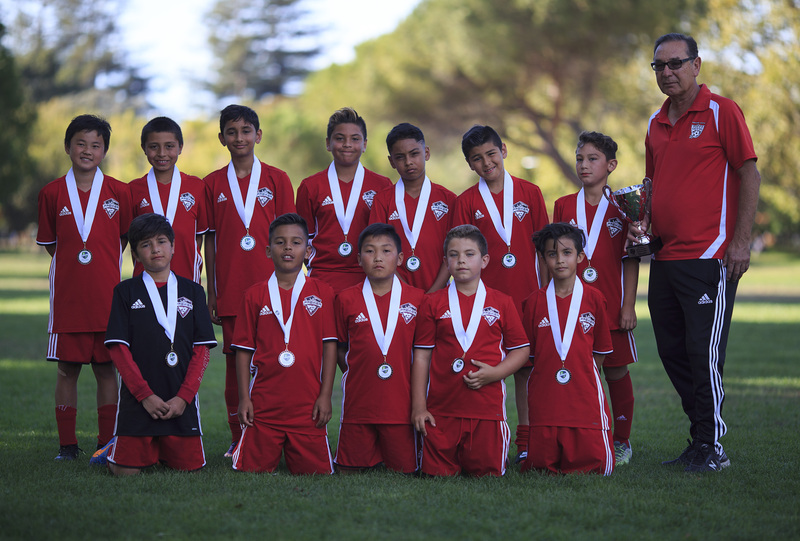 UC PREMIER SCORPIONS U11B were finalists in the Tall Trees Tournament in Palo Alto! The team shut out 3 teams during the tournament. The final match was a nail bitter against Corte Madera, in which the Scorpions were up by 1 until the last minute or so of the match, in which Corte Madera tied the game and it went into PK’s. Union City Premier Legends 2003 finished second at their first ever tournament, the 2017 SRFC Soccerfest! 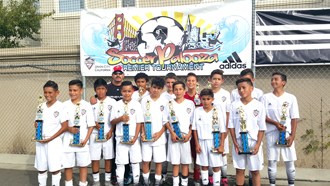 UC PREMIER SCORPIONS U11B took home Consolation prize in Benicia. The boys played their hearts out. We couldn’t be prouder! UCPREMIER represented well this weekend at the Heat Wave Tournament! City, CA. (September 25, 2016) Congratulations UC Premier Warriors U16 Champions at Soccer Palooza Tournament this past weekend, September 24-25. Union City, CA. (September 25, 2016) Congratulations UC Premier Warriors U16 Champions at Soccer Palooza Tournament this past weekend, September 24-25. Union City, CA. (September 25, 2016) Congratulations UC Premier United 2003 U15 Finalist at Soccer Palooza Tournament this past weekend, September 24-25. CHAMPIONS CUP 2016 – A PREMIER ELITE RANKED EVENT! 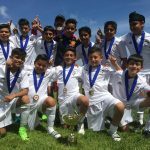 FUEGO 05 CAPTURES DAVIS LEGACY PREMIER CUP CHAMPIONSHIP – Davis, Ca. UC Premier Fuego 05 went undefeated to capture the Davis Legacy Premier Cup Championship, while impressively outscoring their opponents 16-1. On Saturday, Fuego 05 dominated the competition, defeating Davis Legacy White and Roseville Strikers, outscoring opponents 11-0. Sunday morning saw a rematch of the 2015 Cal North State Cup final vs USA Super Stars. Fuego 05 would not be denied reaching the final and defeated the USA Super Stars 2-0. The championship match paired Fuego 05 against the #12 ranked tournament host team Davis Legacy Red. Fuego 05 started the match on fire, scoring in the first five minutes. Fuego 05 second goal came before half time. Starting the second half, a penalty call given to Davis made the score 2-1. Fuego 05 responded with a third goal to go on and win the match! 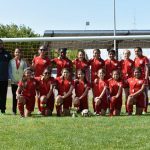 This was an unprecedented fourth championship match in six tournaments that Fuego 05 has participated in over the past 5 months. Next tournament is Placerville United Girls Cup on October 22-23. Union City, CA. (September 27, 2015) Congratulations to the UC Premier Barcelona’07 U9 girls who were finalists at this years SoccerPalooza tournament this past weekend, September 26-27. SoccerPalooza was the first tournament for UC Premier Barcelona’07. Now that they have gotten their feet wet we look forward to much success in future tournaments. Congratulations to the UC Premier Barcelona’07 players, coaches and parents! Union City, CA. 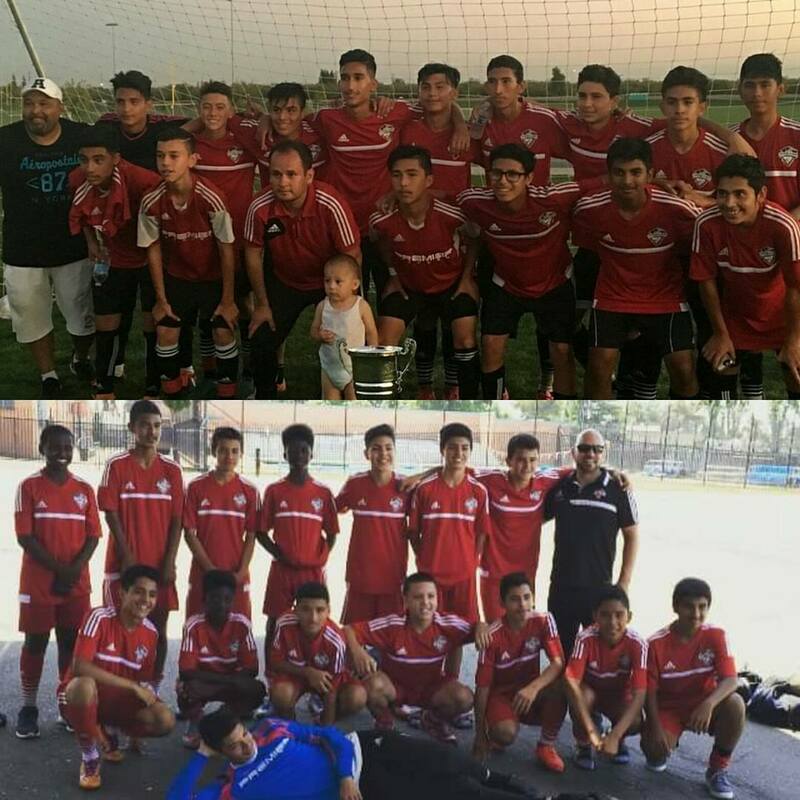 (September 27, 2015) Congratulations to the UC Premier Galacticos U13 boys team who were Champions of this years SoccerPalooza tournament. The Galacticos finished first in group play scoring 11 goals and only allowing 2. In the final they faced the first place team of bracket B ORCHARD VALLEY RED DEVILS BLACK 02B. The Galacticos was able to hold off the Red Devils attack winning hte match 3-0. Congratulations to the UC Premier Galacticos players, coaches and parents! 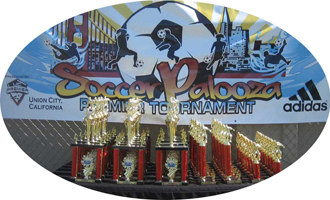 SoccerPalooza 2014 was a great success with 75 teams participating in 11 divisions over the September 26-27 weekend. UC Premier Teams represented well at home with seven teams taking home “hardware”. Congratulations to all UC Premier players coaches and their families! Morgan Hill, CA. (August 23, 2015) Congratulations to the UC Premier Fusion U16 girl team who were crowned 2015 Magic Cup Champions on August 23! 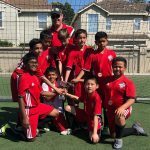 Just coming off their SLO Summer Classic tournament championship two weeks earlier, Fusion maintained their momentum steam rolling the competition at the Magic Cup tournament in Morgan Hill. Once again, the Fusion team went undefeated on the weekend outscoring their opponents 16-1! In the semi-final match, Fusion earned an impressive win, defeating #21 ranked CV Crossfire 99G Blue 3-0. In the Championship match, Fusion went on to defeat Clovis Crossfire 99G 2-0. The Fusion defense and goal keeper Breanna Sanders have only conceded one goal in the last eight tournament matches and the offense has converted 30 goals! Back to back tournament Championships has UC Premier Fusion ranked #31 in the U16 age division in Northern California, by GotSoccer. Morgan Hill, CA. 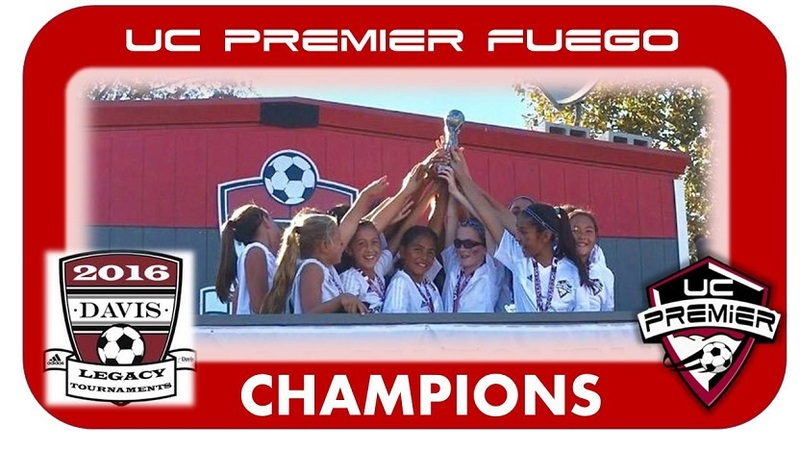 (August 23, 2015) Congratulations to the UC Premier Fuego U11 girls team who were Finalist in the Magic Cup tournament this past weekend August 22-23 in Morgan Hill. The Fuego team finished off their summer tournament series with high drama in a 12 team Gold level division. The Fuego team easily defeated a SF Vikings team 6-0 in the first match and drew 1-1 vs Walnut Creek Chelsea in their second match. Fuego advanced to the semifinal match winning their division and faced a top ranked Diablo FC team. Regulation was not enough time to determine a winner as the teams were tied 0-0. Kicks from the mark would determine which team advance to the finals. Fuego players scored all 5 penalty kicks to defeat Diablo FC 5-4. In the Championship match vs Santa Clara Sporting Green, Fuego got out to an early 1-0 lead. SC Sporting found an equalizer goal before half time. The match remained a draw and overtime was needed to determine a winner. SC Sporting scored on a free kick and was able to hold off a fierce attack from Fuego. 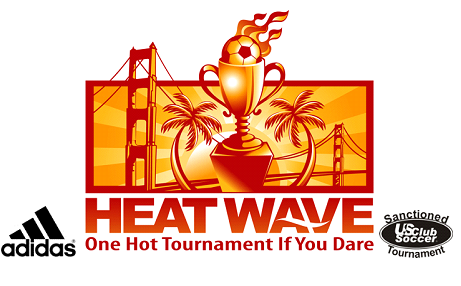 This marks Fuego’s third Championship match of the Summer and GotSoccer currently has Fuego ranked #19 in the U11 age group in Northern California. 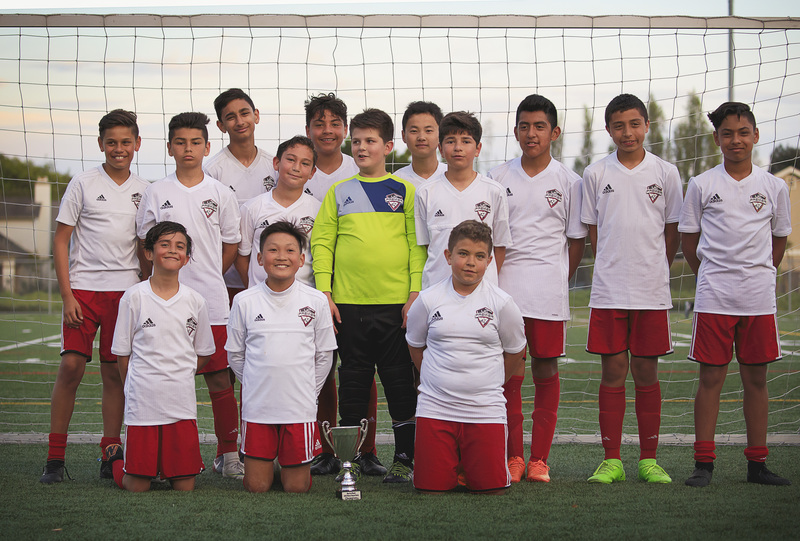 Congratulations to the UC Premier Scorpions U9 boys team who were Consolation winners at in their first tournament this past weekend, August 22-23. The UC Premier Scorpions finished the tournament with an impressive 3-1 record. The Scorpions defeated Alpine Strikers FC 06 Black in the Consolation match 3-1. Congratulations to the UC Premier Scorpions players, coaches and parents! Palo Alto, CA (August 19, 2015) Congratulations to the UC Premier Inferno U17 girls team who were Finalist in the Stanford Summer Classic Division 1 tournament on August 15-16! UC Premier Inferno finished the tournament with a 3-1 record defeating Fair Oaks SC Elite 1-0, Rocklin FC Choas 3-0 and Los Gatos United Black 3-0 in their first three matches. The Final match vs Juventus SC Leggende was a winner take all, with both teams hosting a 3-0 record. Juventus outscored Inferno 3-1 in the final match. Congratulations to the Inferno Coaches, players and parents! Congratulations to the UC Premier Inferno U17 girls team who were Finalist in the Stanford Summer Classic Division 1 tournament on August 15-16! 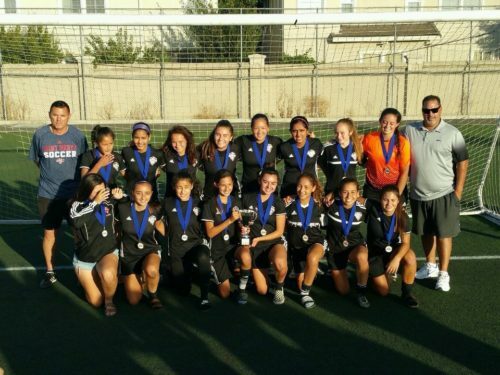 Palo Alto, CA (August 19, 2015) Congratulations to the UC Premier Warriors U14G who were Consolation winners at the Stanford Summer Classic tournament on August 16th. The Warriors and Woodland SC Fire finished equal in regulation time and continued to overtime. Woodland SC Fire scored the first goal in overtime and in what became a weird chain of events, the referee declared Fire the winner with a golden goal. The Fire team celebrated and …began to exit the field when the match official was informed that the tournament rules state that there are two 5 minute overtime halves and not a golden goal. The Fire team was called back to the field of play and the overtime period continued. In dramatic fashion, the Warriors scored an equalizer in the remaining overtime period. The championship match was decided in penalty kicks, with the Warriors winning! San luis Obispo, CA (August 9, 2015) Congratulations to Fusion U16 girls team whom were crowned 2015 SLO Summer Slassic Champions! FUSION has attended this tournament for the past few years and has (2) second place finishes and (1) third place finish. Fusion scored 13 goals in 4 matches and impressively shut out all their opponents with four clean sheets! Pleasanton, CA. July 17-19, the UC Premier Gladiators U17 girls team were crowned Pleasanton Rage College Showcase 2015 Gold -3 Champions! The Gladiators competed in a six team bracket starting play on Friday July 17th by defeating Crossfire Oregon ’98 1-0. Gladiators defeated Mustang SC United ’98 3-0 in the second match. On Saturday July 18th, Gladiators drew 2-2 with Dublin Unit…ed SL Elite, who finished in second place. On Sunday July 19th, the Gladiators defeating Walnut Creek Fury ’98 in a landslide 5-0 win. Gladiators finished top of the bracket with a total of 33 points to capture the Gold-3 Championship. Congratulations to all the UC Premier Gladiator players parents and Coaching staff. Keep up the success! UC PREMIER EARNS ITS FIRST TWO NORCAL STATE CUP TITLES OF THE 2014-2015 TOURNAMENT! 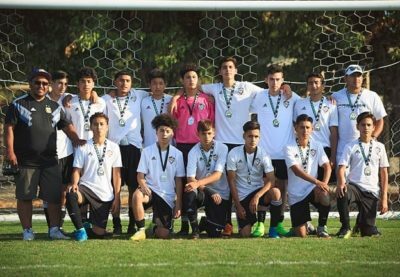 NorCal Admin research suggests that the NorCal State Cup(s) – younger and older with about 2,200 teams – is now the biggest State Soccer Event in America and one of the largest Soccer Events in the World. 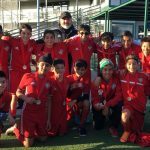 Twenty two UC Premier teams are participating in the 2014-2015 NorCal State Cup tournament and two of the younger UC Premier teams have captured State Cup titles. 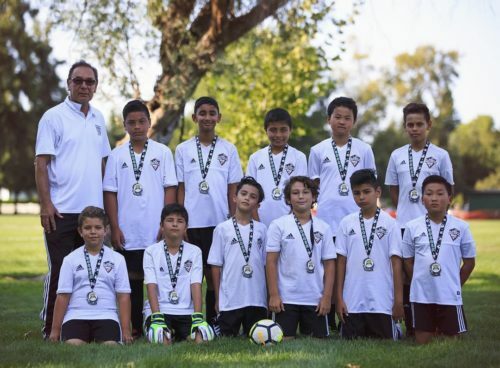 The U9- U10 State Cup first round round matches began back in September and concluded with the championship matches played this past weekend at Woodward Park in Manteca. The UC Premier Rumblers 06 U9 boys posted an impressive 6-3 record through the first, second and third rounds of play, winning six straight matches to capture the U9B – Blue 2: Gold 3 State Cup title. The Rumblers 06 team outscored their opponents 33 goals to 14 allowed in the 9 matches. 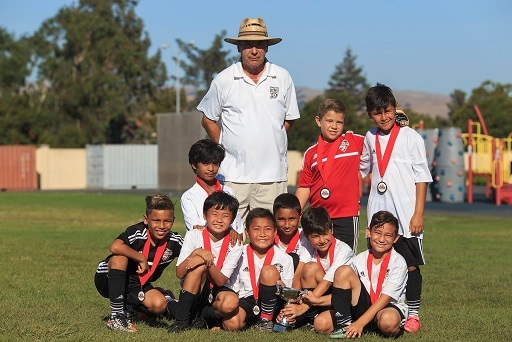 The UC Premier Raging Bulls U10 boys began their Nor Cal State Cup title run back in September posting a 6-3 overall record and winning three straight matches to capture the U10B – White 2: Gold 1 State Cup title. The Championship match presented a rubber match vs second round opponent Ceres Earthquake FC Barcelona, who won their first meeting 2-1. With the score tied at 2-2 at the end of regulation, the match was to be decided in golden goal overtime. Josh DeJesus scored the winning goal to help his team win their first State Cup title and UC Premier’s second State Cup title of the weekend. Congratulations to all the UC Premier players, coaching staff, parents and families on a unique and wonderful accomplishment! U11-U13 Green and Blue division teams will participate in the second round State Cup matches this weekend at Woodward Park and Mistlin Sports Complex. SoccerPalooza 2014 was a great success with 95 teams participating in 13 divisions over the September 26-27 weekend. Congratulations to UC Premier United U17 boys and UC Premier Fillies U11 girls! 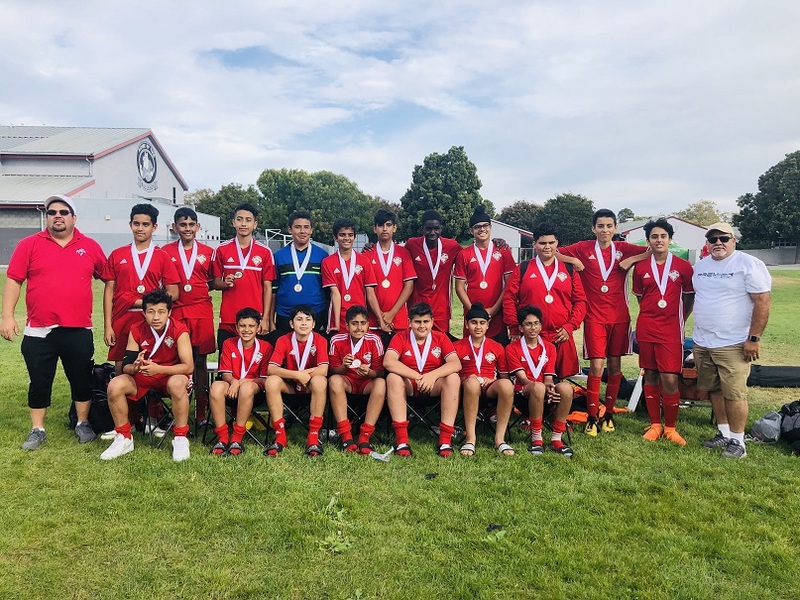 Both UC Premier teams were 3rd Place finishers at the Champions Cup tournament hosted by Monarcas Academy on September 26-27 in Ripon. Congratulations to the UC Premier Xolos U17B who were crowned Champions at the Street Soccer USA 4v4 tournament in San Francisco on August 17th! Street Soccer USA competitions are one-of-a kind weekends designed to test your teamwork, strategy, and footy skills. Only the best of the best will be crowned champions but at Street Soccer USA, WE PLAY FOR bigger goals. All proceeds from the Cup Series are donated to their charity that teach jobs and life skills to at-risk and homeless teens through soccer. Thank you UC Premier Xolos for supporting a great cause and proudly representing UC Premier on and off the field. AUGUST SOCCER TOURNAMENTS – UC PREMIER SUCCESS STORIES! Many UC Premier Teams have been participating in soccer tournaments throughout the month of August and have represented UC Premier proudly! Below is a list of UC Premier Teams along with their accomplishments and success. Congratulations to UC Premier Coaches, players and families on earning such a great achievement! 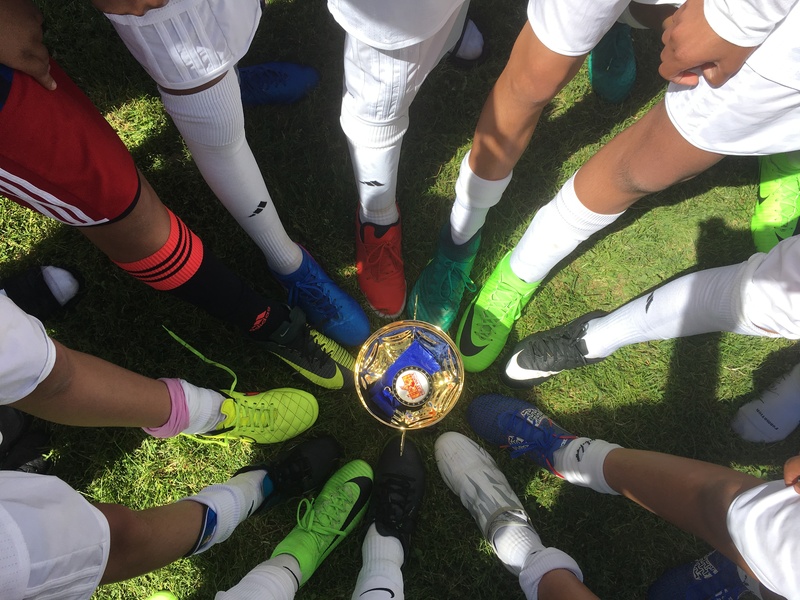 .and the month is still not over…..
Pleasanton, CA (July 27, 2014) Congratulations to the Warriors U13 girls team whom were crowned 2014 Pleasanton Rage Showcase Champions! The Pleasanton Rage Showcase is one of the most prestigious girls showcase in Northern California, which took place July 26-27. The Warriors emerged Champions out of a very tough 12 team division. It is a great honor to be accepted into the tournament and great accomplishment to win the tournament! The Warriors scored 11 goals in 4 matches and impressively shut out all their opponents with four clean sheets! Davis, CA (July 13, 2014) Congratulations to Fusion U14 girls team whom were crowned 2014 Davis Legacy College Showcase Champions, which took place July 11-13. Fusion, coming off their fourth State Cup Championship back in early June, was back on the field at the Davis Legacy College Showcase under new head coach Juan Roslaes. Fusion began tournament play on Friday afternoon July 11th in a 8 team division. Fusion first match was against the hosting club team, Davis Legacy Milan 00. After 60 minutes, the match concluded in a 1-1 draw. On Saturday morning Fusion faced the 6th ranked Nevada Spanish Spring Aguilas. Once again, the match concluded on a 0-0 draw. Saturday’s second match proved to be a must win, if Fusion wanted an opportunity to qualify for a semi final match. Fusion won their third match convincingly 4-01 over Ajax East Bay 99. With 5 points after three matches, Fusion qualified to play the number one seed Casa Boca 99 in Sunday’s morning semi final match. Fusion did just enough to pull off the 1-0 victory to advance to the championship match. The Championship match saw a rematch vs Nevada Spanish Aguilas. After 60 minutes of play, Fusion prevailed victorious 1-0! An undefeated weekend vs quality soccer opponents is a major feat, however to accomplish all that in above 100 degree heat with one and two substitutes all weekend… is an even greater accomplishment! FUSION ROSTER: Jocelyne Gerardo, Seona Patel, Monse Garcia, Kendall Hefner, Sheila Naderpour, Raena Juarez, Aundria Vargas, Ashley Paguirigan, Maleni Morales, Marisol Martinez,Vanessa Mejia, Nia Isom, Vanessa Vega. Congratulations UC Premier Gladiators on the 4th league title in a row. 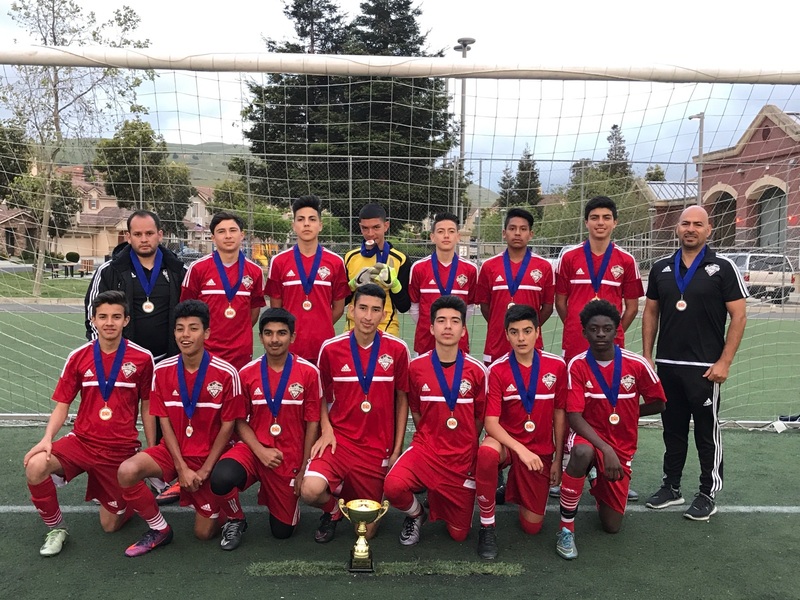 Union City Premier United U16 Boys captured their second tournament title for 2014 winning the San Jose College Showcase in the Premier bracket. United entered the tournament ranked 38 in northern California. In their first match they faced the Azzuri team from San Ramon. The Azurri side scored first in the first half and began the second half with the lead. United scored a quick second half goal to even the match at 1 in the first 5 minutes. United then took the lead with a second goal with 10 minutes to go securing the match and their first win of the tournament. In the second match United face San Jose Fuerza where they cruised to a 2-0 lead at the half and finished the match 4-1. On Sunday United faced a higher ranked Foothill Storm SC team from southern California. The match began evenly matched as both sides had several chances but could not capitalize on any of the attempts. United scored two goals before the half and gave up a goal as the second half began. Being up 2-1 in the second half united added a third forward and created two additional goals to once again finish the match 4-1 and earning a spot in the final. United would meet PAC San Jose Newells a rival you could say given they have both played against each other the past three seasons where United has a 2-1 record against them. The match was very physical both sides playing hard to gain positioning on the ball. PAC got on the score board first and led entering the second half. In the second half Fabian Ruiz-Mejia took a free kick about 30 yards from the corner of the 18 yard box. The kick sored over the wall and over the keeps head where the ball hit the cross bar but went in. The United fans erupted with joy and suddenly the momentum shifted to united favor. United would then go on to score their second goal from a shot from Josh Rojas taken from the United half of the field. The PAC keeper miss judged the ball as it bounced in front of the keeper and went over his head and into the goal. Eight minutes later the whistle blew and United won their fourth match of the weekend giving up 4 goals and scoring 12. With this win United now sits 31 in the Gotsoccer rankings in Northern California. Congratulations to a united team that is on fire. Members of United are: Cesar Virrueta, Mario Rodriguez, Hasseb Babacarkhial, Javier Vega, Samuel Wu, Austin Dalmasso, Geovanni Macias, Zaihem Fazel, Javid Jardon, Raul Kasar, David Barajas, Josh Rojas, Jonathan Cervera, Luis Ponce, Sergio Vasquez, Fabian Ruiz-Mejia, and Chris Amaya. Turlock, CA (May 10, 2014) Union City Premier Fusion finished their 2013/2014 State Cup run by reaching the Gold 2 finals. Fusion’s road to the finals was achieved by beating Walnut Creek Lightning 3-2 in the round of 16 match. In the quarter final match Fusion beat Clovis Crossfire Chaos 2-0 advancing to the semi-finals. Butte United would be the opponent and stand between Fusion and the finals. Fusion took an early lead and would hold on to win the match 2-1. The Gold 2 final would take place a month later allowing Fusion ample amount of time to prepare for their fourth State Cup final in six years. Fusion faced Fresno Chaos in this year’s Gold 2 final full of excitement from start to finish. Fusion immediately took control of the match. Fusion spent 65-70% of the first half on the Chaos side of the field with an onslaught of shots on goal but could not get one to drop in. Fusion entered the second half with the match tied 0-0. 10 minutes into the match the Chaos team took advantage of a Fusion mistake and was able to get a shot on goal that took a Chaos bounce and went in the goal. Fusion continued to play calm and cool soccer pressing the Chaos defense and attack their goal but struggled to get a goal to drop. After their goal the Chaos team played with more confidence and had several well played attacks but Fusion’s defense held on and neutralized the Chaos attacks. With about a minute left in the match Fusion was able to move the ball from the left side of the field to the right and Leaness Donn was able to send a cross. The Chaos keeper tried to get the ball in the air but missed and Vanessa Mejia followed the ball and was able to get her head on it sending it to the back of the net. The Fusion families and friends erupted in cheer as this match was headed to overtime. In overtime both teams played hard trying to get the go ahead goal but time ran out and both teams found themselves getting ready to take penalties. Fusion would be the first team to take a shot, Aundria Vargas took the first kick sending the ball to the cross bar where it appeared to bounce off the cross bar and go in the goal and bounce out but the Referee saw something different. The Chaos team took their first shot which was blocked by Fusion’s keeper Maleni Morales. Both teams scored their next three PKs leaving the score tied 3-1. Fusion would them make their next goal going ahead 4-1 putting the pressure on the next Chaos player to take a penalty. The Chaos player took her shot, the ball hit the left post and bounced straight to Maleni who was able to control the ball deflecting it with her head and giving Fusion their fourth State Cup title. Fusion won their first State Cup title their U9 year in 2008 beating Santa Rosa Tremors 2-1 in the Platinum bracket. Fusion’s second title came two years later as U11s in the 2010/2011 tournament where Fusion faced Mustang Blaze in the Premier bracket final. Fusion scored an early goal and was able to hang on winning 1-0. The third title came two years later in the 2012/2013 tournament. Fusion defeated Sonoma County Alliance 3-2 with a “Hat Trick” from Elisa Pelayo. UC Premier Fusion players are Aundria Vargas, Elisa Pelayo, Ashley Paguirigan, Vanessa Mejia, LeaNess Donn, Raena Juarez, Monse Garcia, Kendall Heffner, Cassandra Marquez, Maleni Morales, Sheila Naderpour, Nia Isom, Angelique Valenzuela, Lissette Mason, Sara Buffy, absent are Seona Patel and Jocelyne Gerarido. Congratulations to all our UC Premier teams who participated in the 2013/2014 NorCal State Cup. 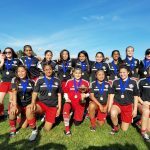 This year’s tournament took place in Morgan Hill, Modesto, and Turlock, CA between September 2013 and concluded May 10, 2014 for all the older U14-U18 teams. UC Premier had two teams crowned champions and two teams were finalists this year. Congratulations to our teams for a job well done. UC PREMIER TEAMS ON FIRE AT THE HEATWAVE TOURNAMENT! Union City, CA (April 27, 2014) Six (6) UC Premier Teams reached the championship round this past weekend at the Heat Wave Tournament hosted by UC Premier. Three UC Premier teams were crowned Champions and three were finalist. UC Premier Fuego U9 girls finished the tournament undefeated scoring 8 goals and only allowing 1. 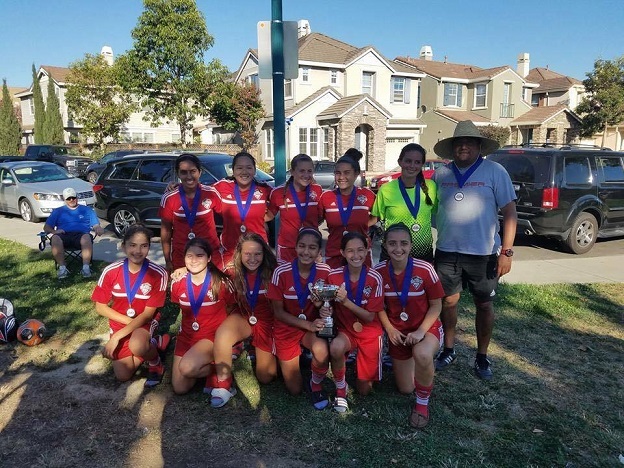 Fuego defeated CV San Jose FC Academy, DFC 04, Stockton Storm 05 and Red Star 04 to capture their second tournament championship in the last two months. UC Premier Inferno U15 girls qualified for the championship match with two wins and a draw vs. Davis Alliance Catania. Inferno faced the Davis team in the final defeating then 2-0 to capture the U15 championship cup. UC Premier Outlaws 98 U16 girls defeated a very tough Milpitas MXG98 team 2-1 on Sunday morning in a must win match to earn a spot in the championship match. In the championship match the Outlaws faced EC Real Salinas Thunder girls, whom they previously lost to on Saturday 1-0. The Outlaws came out victorious 1-0 when it counted to capture the U16 girls division championship cup. UC Premier Fillies Black U10 girls, UC Premier Raging Bulls U9 boys and UC Premier United Black U16 boys were finalist in their respective divisions. Congratulations to all the UC Premier coaches, players and families on a great display of soccer development and competitiveness. Redwood City, CA (March 9, 2014) Union City Premier United U16B captured their first tournament title of the year as they played in the Juventus Spring College Showcase. United started off the tournament against Titans Rajas from New Mexico with a 1-0 win. Their second match of the day was against Walnut Creek Menace where United continued their clean sheet and won the match 2-0. Sunday morning United faced Cal Blues and earned another 2-0 shutout. In the second match of the day United faced Central California Alliance. This match was intense from kickoff, both teams had multiple opportunities to score in the first few minutes but could not convert. The teams eventually got on the score board going into half-time 1-1. The second half of the match because the deciding factor, Alliance came out hard and were able to score two quick goals against the United team. United answered with a goal keeping the game within reach but a late goal from Alliance sealed the deal. United went down for the first time in the tournament 4-2 but were able to capture enough points to secure first place and the Champion title. Union City Premier would like to recognize our Girls and Boys U14-GU18 who played soccer for their High Schools this fall. We understand the commitment it takes to play for your school and continue to be a stand out student. We would like to honor the following players who received awards, and congratulate them on a successful High School season. 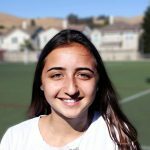 Maleni Morales a freshman and starting goalie on the Mission San Jose High girls Varsity team was voted All-League player by the 8 high school coaches that make up the Mission Valley Athletic League (MVAL). Congratulations to Fabian Mejia and Zaihem Fazel for also making 1st team All-League. Fabian is a junior at James Logan High and a starter on the Varsity team. Zaihem is a junior at Newark Memorial High and a starter on the Varsity team. Fabian and Zaaihem are also member of UC Premier United U16 Boys. Congratulations to our athletes, Union City Premier and all your teammates are so proud of you on your accomplishment. This year, all of our UCP players had an impact on their HS teams. We are excited to have these players back playing with their UC Premier teams! 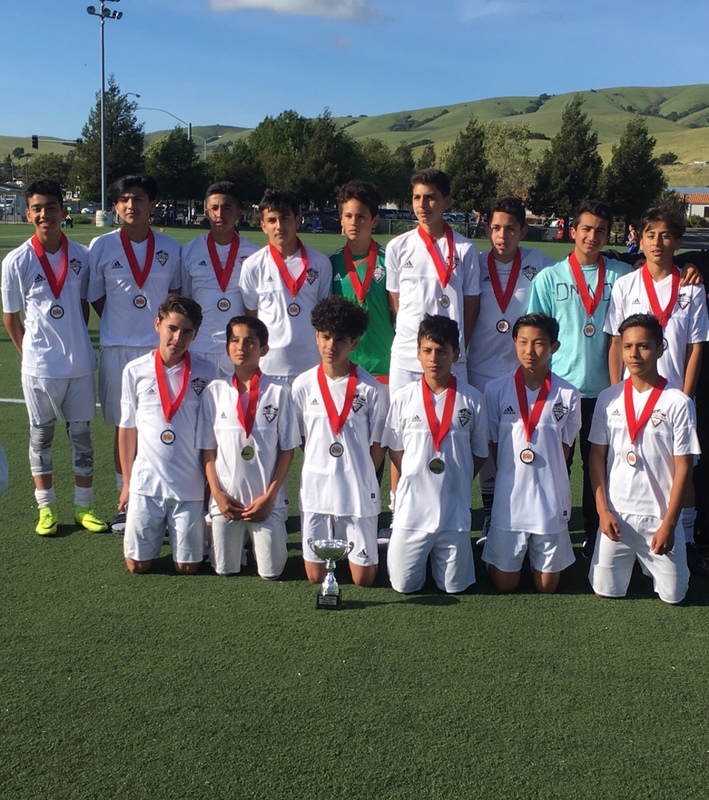 Congratulations to the UC Premier ’01 boys who were crowned 2014 Torneo dei Presidenti U13 Champions this past President’s weekend in Redwood City. UC Premier ’01 went 4-0 over the weekend to capture wins over Alliance FC Diablos Red ’01, …host club Juventus SC Fire, South San Jose Vipers and Sagebrush United Red. Davis , CA (July 21, 2013) Union City Premier United U16 Boys were crowned champions of the 2013 Davis Legacy Boys College Showcase. United played in their fourth tournament this year which kicked off with a 2-2 draw against Cal Blues Blues98. United then kicked it into gear with a 6-2 victory against American River FC Revolution. In the third qualifying match United faced Delta Sporting where they secured their first shutout of the tournament with a 2-0 win. United finished group play in first place of Bracket A with 7 points. In the Semi-final match United faced the second place team of bracket B Butte United Crew. Butte was a worthy opponent playing good soccer but United seemed to have the edge and won the match 4-0 moving them to the finals. North Bay Elite Juventus won their semi-final match and would face United in the finals. The match started off very fast and United was able to get the first score within the first 6 minutes of the match by Chris Amaya. Chris Amaya was red hot in the final scoring three goals and help united to a decisive 4-0 victory over North Bay Elite Juventus. United finished the tournament with 18 goals and only allowed 4 goals against. Congratulations to United for a stellar performance. SIX UC PREMIER TEAM CROWNED DIVISION CHAMPIONS! Congratulations, 12 out of 20 (U8-U13) UC Premier teams finished in the top three places of their spring division! Turlock, CA (Febuary 10, 2013) Congratulations to the UC Premier TOPS U11 girls team who finished #7 in the NorCal Premier State Cup! For the second year in a row, the UC Premier TOPS qualified for the State 1 division, which includes the best eight U11 girl teams in Northern California. To put this major accomplishment in perspective. The UC Premier TOPS finished 7th best out of 120 teams that participated in the U11 girl’s NorCal Premier State Cup tournament! Congratulations to all the UC Premier TOPS players, coaches and families! Union City , CA (April 30, 2013) Congratulations to the U15B United team for being Heat Wave U17 Boys Tournament Champions! United stated the 2013 tournament with a tie against the U17 UC Premier Kaos team. Later in the day United faced the Ravenswood team and finishing with a perfect 4-0 victory. 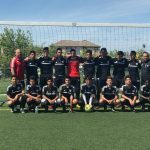 In their third qualifying match United faced the Medford United U17 team and had to settle for a 1-1 draw but had enough point to scure a birth in the finals where United would face the Medford United side once again. In the rematch United drew blood first with a shot from Jonathan Cervera fromthe left which put United up 1-0 going into halftime. In the second half Medford United would tie the match 1-1. With 10 minutes left in the match United pushed forward and was able to capitalize on a strike from Cesar Virrueta to give United a 2-1 lead and that is how the match would end. Congratulations to the United players, coaching staff and families! Union City , CA (April 30, 2013) Congratulations to the U13G Strikers for being Heat Wave Tournament Champions! The Strikers finished the tournament with three wins and one tie to capture the Championship title from Thunder Cats, defeating them 1-0. Congratulations to the Striker players, coaching staff and families! Union City , CA (April 30, 2013) Congratulations to the U14G Gladiators for being Heat Wave U15 Girls Tournament Champions! The Gladiators had an impressive tournament run finishing with a perfect 4-0 record, defeating Surefire in the championship match 3-1. Congrats to the Gladiators goal keeper and defense which maintained three “clean sheets’/ shut outs in the qualifying rounds. The Gladiators finished the tournament with 13 goasl for and only 1 conceded. Congratulations to the Gladiator players, coaching staff and families! Woodland , CA (February 17, 2013) Congratulations to UC Premier Fusion U13 girls, who this past Sunday won the 2012 NorCal Premier State Cup Premier 2 division championship. Fusion won their last three State Cup tournament matches to capture the title. Wins included a 2-0 quarter final win over the #1 seed Novato United, a 1-0 semi final win over United Sierra Blitz and a 3-2 victory over Sonoma County Alliance 00. Sunday’s championship match vs SCA 00 was a very entertaining soccer match. UC Premier Fusion got the early lead with a goal in the 12th minute. SCA 00 got an equalizer with a phenomenal shot from outside the 18 yard box before the half time. SCA 00 scored a go ahead goal to start the second half and led 2-1. There was no panic from the two time state cup champions Fusion, who responded with an equalizer in the 45th minute. With approximately 14 minutes left to play, it appeared the match would be going to overtime. Fusion would not settle for a tie and overtime play and continued to pressure on offense. With approximately 11 minutes left to play, Elisa Pelayo #10 scored her third goal of the match to complete a hat trick and the winning goal of the match! The Premier 2 State Cup Championship places UC Premier Fusion at the best 25 teams out of 120 teams that competed in the U13 age division. This championship win marks the third state cup title in five years for UC Premier Fusion, who won titles in 2008 and 2010. Congratulations to the UC Premier Fusion players, coaches and families! Turlock, CA (January 20, 2013) Congratulations to UC Premier Liverpool U11B who were finalist at the 2012 NorCal Premier State Cup silver division. 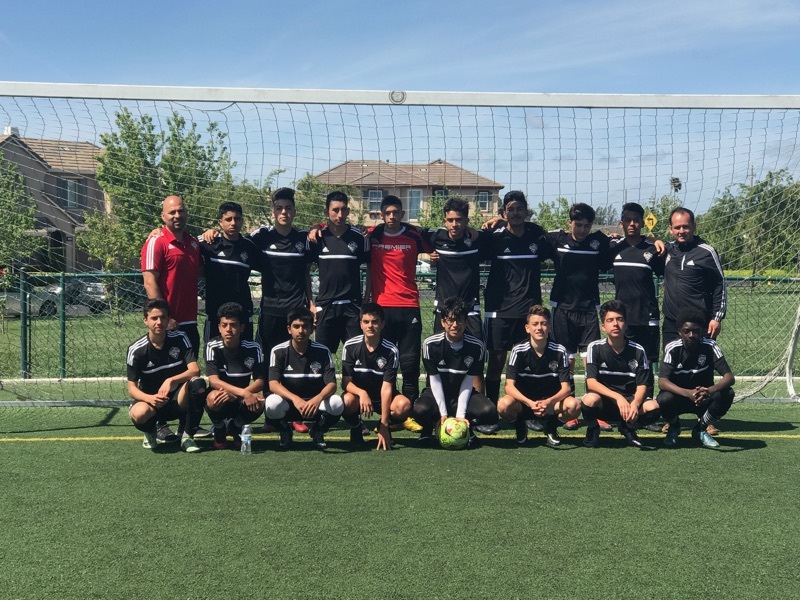 Liverpool had a great run beating FC Elk Grove 2-0 in the quarter-finals and advancing them to a semi-final showdown against San Juan lightning White. The semi-final match against San Juan was a real nail-biter but Liverpool kept their composure and defeated San Juan 4-3 granting them a trip to the silver division finals. In the final Liverpool played well but fell short to Turlock FC Braza. Congratulations to all the UC Premier Liverpool players, coaches and families! Congratulations to UC Premier Shooting Stars U10G for becoming Fall league Champions in the Region 3/4 Silver East Division! The Shooting Stars earned a 6-1-1 overall record, only allowing 6 goals and netting 21 goals against their opponents. Congrats to the Shooting Star’s coaching staff and team manager, who coached up the team this fall season from a 6th place finish this past spring season. Keep up the good work and we look forward to your continued success. In their inaugural season in the National Premier League (NPL) UC Premier Barcelona 97 U16B have become the NorCal Premier NPL Fall League Champions! Barcelona 97 earned 27 points with a 9-0-1 record to capture the fall regular season championship. The 2nd place team wasn’t even close to Barcelona 97 with only 17 points. 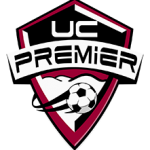 Being crowned regular season NPL fall championship, UC Premier Barcelona 97 has earned a playoff match with the regular season NPL winter champions, which will be determined in the beginning of February 2013. The overall winner of the NorCal Premier NPL U16 boys division will earn the privilege to represent NorCal Premier in the NPL Champions Cup to be held in Aurora, Colorado July 18-22 2013. The culminating event of the season each year is the NPL Champions Cup, which features qualifiers from every NPL across the country in a true “champions league” competition. The event is held in July of each year to crown NPL national champions in each age group. UC Premier Barcelona 97 is currently ranked 4th in Northern California, 12th in the Region and 31st nationwide. Congratulations to the UC Premier Galacticos U10B who are NorCal Premier Fall League Champions. The Galacticos went undefeated on the season earning a perfect 8-0 record to take first place in the Silver East division. The Galacticos outscored their opponents with an impressive 55 goals for and 6 goals against record. The UC Premier Galacticos also reached the semi-final match of the NorCal Premier State Cup tournament before being knocked out by Davis Legacy Red Bulls, who went on to become the U10 Gold 1 State Cup Champions. Congratulations to all the UC Premier Galacticos coaches, players and families on a very successful season! The UC Premier TOPS U11 Girls take 1st Place in the 14th Anuual Halloween Kick or Treat Classic! TOPS remain the Champions for 2011 and 2012! All the participating teams in their unique costumes and the TOPS came dressed as the “TOPS NERDS”! Custom made girl Nerd t-shirts with suspenders and pocket protectors, topped off with a stunning red bow tie! Each player had on the nerdy socks with coke bottle nerd glasses! tournament defeating the Manteca Rangers 7-0. A rival team, Mustang Blast would be a challenge for the TOPS. In a nail biting match, the TOPS came out victorious with a 2-1 win. Diablo FC would prove to be a fierce team ready to face the TOPS! The match was intense and had the fans on the edge of their seats. TOPS came out ahead winning 3-1. TOPS qualified for the Championship match, playing FCA Lightning. The TOPS were determined to defend their title of Champions and take it all! Defense never gave FCA Lightning a goasl scoring opportunity TOPS maintained a tight defense and offense took over scoring 7 goals! TOPS took home 1st place with a final score of 7-0! A well deserved win for the girls, Coach Rob Hernandez, Trainers Jorge Cisneros and Paola Cisneros. o participated with a roster of 21 players. The Region 3/4 team played two matches vs. Region 7 and Region 5 PDP teams. Players on the Regional PDP teams started their journey at the beginning of the year. During this time, approx. 150 players (boys & girls) per region have attended regular twice month trainings with PDP coaches, free of charge. Thanks to the recommendations from many club coaches and thorough evaluation of each player, the PDP coaching staff finalized each region’s pool team. Vanessa attended two PDP try out sessions that included approximately 70 of Region 3/4 top ’99/’00 players. Vanessa was selected and named to the 2012/13 NorCal PDP ’99/’00 Region 3/4 team this past September. Vanessa serves as an example for all UC Premier players on and off the field. Vanessa attends Cesar Chavez Middle School and maintains a 4.0 GPA. gional, which is set to take place Nov. 18-23 at Spanish River Athletic Park in Boca Raton, Fla. Teams from each of the four regions, comprised of nearly 300 of the nation’s top players selected from US Youth Soccer State Association and regional level evaluations, will participate in the six-day event. Continuing its tradition of elite competition and player development, youth from the nation’s top player identification program, US Youth Soccer ODP, will train and compete in front of national staff and collegiate coaches to maximize their exposure for selection to the next level of play. The 2012 US Youth Soccer ODP Girls Thanksgiving Interregional will include players in the 2013-2017 graduation classes. US Youth Soccer is divided into four regions, Region I (East), Region II (Midwest), Region III (South) and Region IV (West) to assist in national competition and training. Let it be noted that Dennise Ramirez is one of only two players from all of northern California that have been named and selected to the 18 player roster ODP Region IV team. Other rostered players have been selected from Utah, Colorado, Washington, Nevada, and Oregon. Union City , CA (September 29-30, 2012) Congratulations to the UC Premier teams that placed in the top three of their age divisions at SoccerPalooza! 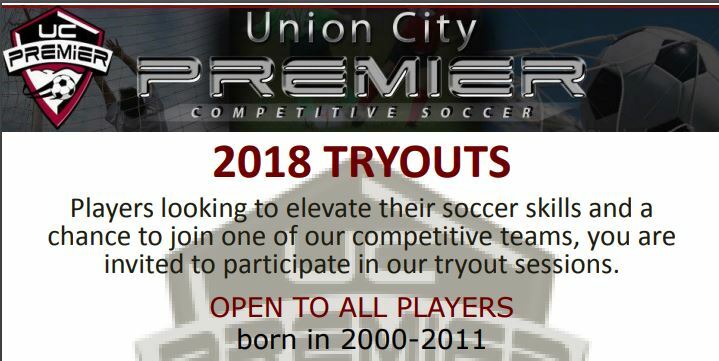 Way to represent Union City Premier! Manteca, CA(September 1-2, 2012) The U10 Galacticos headed to Manteca for the MFC Portugoal Cup. 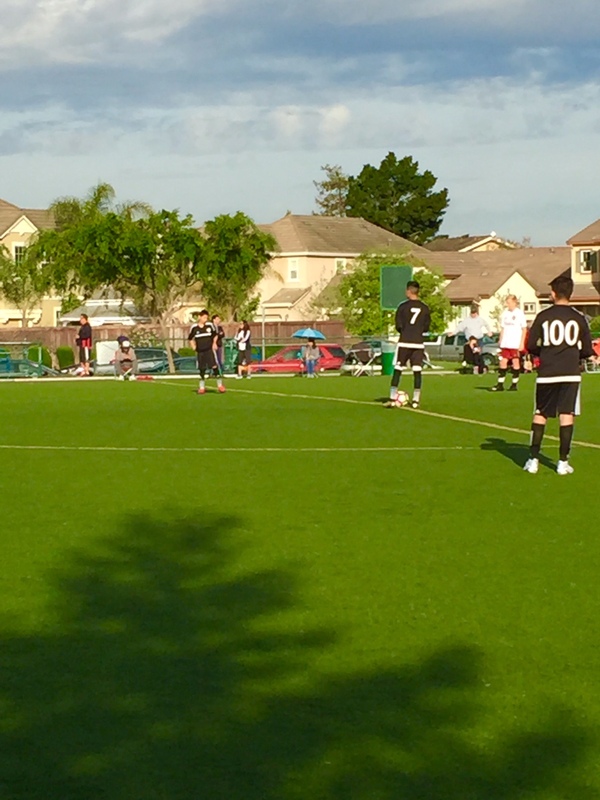 Saturday the Galacticos started off group play with a 5-3 win over the host Manteca FC. In the afternoon the Galacticos faced East Valley United and came away with a 6-1 win. 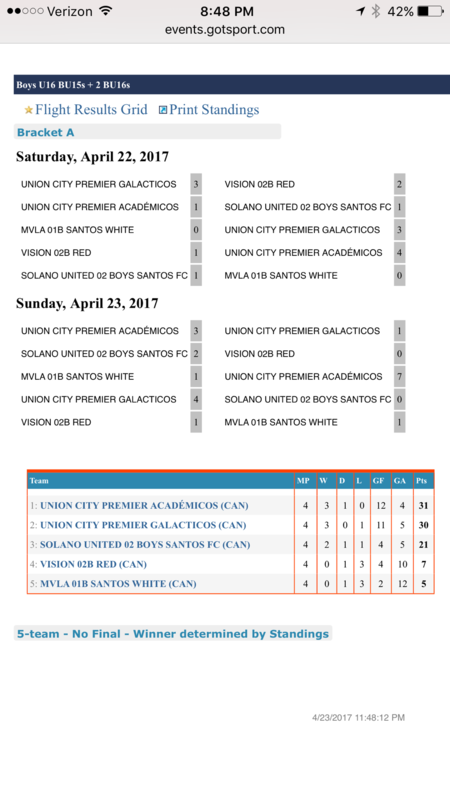 Sunday morning in the semifinals the Galacticos took on Lobos United FC Gold and came away with a 7-1 win to reach the finals. The afternoon final was a rematch with Lobos United FC Gold which was a hard physical match between both clubs. The Galacticos were down 1-0 with 15 minutes left in the match but prevailed with 2 late goals to come away with the win!! This is the Galacticos 3rd tournament championship this summer and have 15 wins 1 tie 0 L’s going into fall play. Danville, CA(August 10-12, 2012) Wow! A fantastic 3 day tournament full of soccer! The UC Premier Tops Girls 11U Gold Division definitely left their mark at the 2012 Nike Mustang Girls Stampede Tournament in Danville, CA. The Nike Mustang Girls Stampede Tournament is recognized as one of the most prestigious top ten tournaments worldwide! The competition was underway and the TOPS were putting on the pressure on the Burlingame Falcons in their first match. Both teams played hard ending the match in a 1-1 tie. The next match would end up being in the hot temperatures of high 90’s against California Odyssey. The TOPS didn’t let that stop them! They were ready for the match and came out ahead with a 3-1 victory! That secured the UC Premier TOPS a #2 spot in the Qtr final game against Palo Alto Blue Ice defeating them 4-0. The TOPS played a flawless game and didn’t give up any goals! Securing their spot in the Semi-final game, they went on to play Mustang Blast in the semi-finals. A tough competition that ended in a tie 1-1, then went into overtime without either team scoring, then went into penalty kicks! The TOPS Goalie was ready and would defensively block two of the three balls sent her way. The TOPS strategically kicked all three penalty kicks in the goal and won their spot in the Championship game. The UC Premier TOPS would face the Burlingame Falcons in the Championship Game! The competition was intense and the girls were mentally focused as the competition began. The passion, determination, and athleticsm of the TOPS shined throughout the competition. The TOPS kept the pressure on throughout the tournament and earned them the title of “Champions” of the 2012 Nike Mustang Stampede U11 Girls Gold Division with a victory win of 3-2. The UC Premier TOPS are proud to have Natalia Bartolome, Alex Carpio, Allison Chang, Samantha Conlon, Kyanna Cruz, Andrea Dan, Anmol Gill, Alexia Gutierrez, Jordan Hong, Chloe Lujan, Jessica McNair, and Minah Yang representing Union City Premier! Congratulations! San Luis Obispo , CA (August 11-12, 2012) UC Premier FUSION U13 Girls had an impressive weekend down in San Luis Obispo where going into the finals Fusion had only allowed one goal. Fusion began the tournament with a 2-0 win over Cal Odyssey south G99. 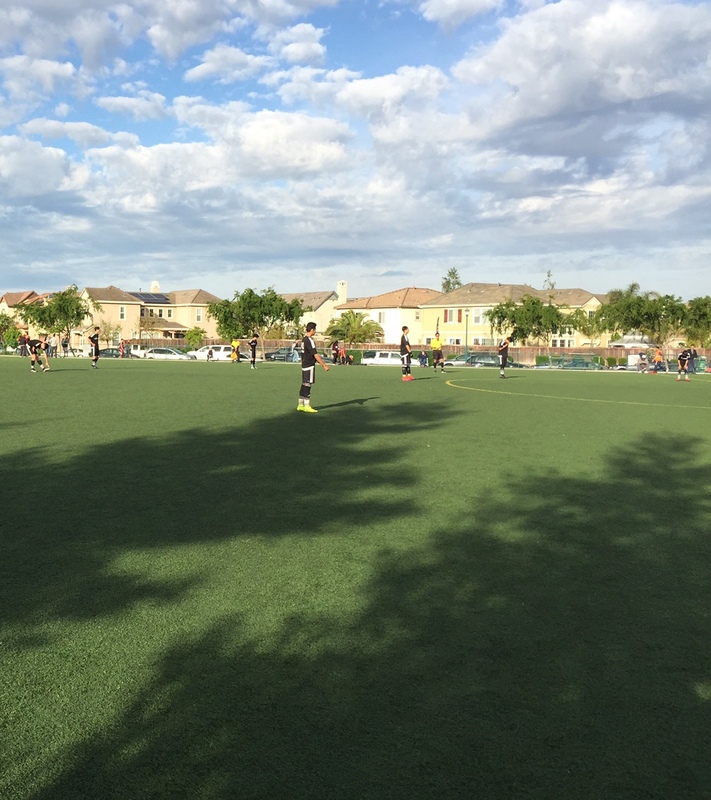 In their second match Fusion was to take on the Eagles blue from the Eagles Soccer Club in southern California. Fusion went up 1-0 in the first 10 minutes of the match but quickly found themselves tied at 1-1 after an equalizing goal from the Eagles Blue side. In the second half Fusion made an offensive adjustment that paid off with two second half goals resulting in a 3-1 win. In the third qualifying match Fusion faced the second Cal Odyssey 99GR team (this time the one from the North) where the girls brought their arsenal and landed 3 goals by half time and added 3 more in the second half. The 6-0 win was Fusion most impressive win of the tournament. The stage was then set for the showdown between Fusion and the North Huntington Beach (NHB) Back side who at this point has scored 16 goals and not allowed one. From the blow of the whistle the pressure was on Fusion as they could not connect with each other and find their rhythm. Going into halftime Fusion was down 2-0. The girls turned up their own pressure and started to control the match a bit better in the second half. Their efforts lead to several scoring opportunities that hit off the posts and a missed penalty kick. Fusion played a hard second half but the damage had been done and had to settle as finalist. We are proud of their efforts and performance this past weekend. Way to play hard Fusion!! Fusion would like to extend a special thank you to Yvette Sandoval and Kelly and YuYu Zarate for traveling & playing with the team this weekend. Novato, CA (August 4-5, 2012) UC Premier Tops U11Girls Division definitely left their mark in Novato and represented Union City Premier in a fierce competition! The TOPS began early Saturday morning with a competitive game against Santa Rosa Siesmic Waves 3-0. Through the cold winds and the sun peeping in and out all day they took to the field with nothing stopping them. They gave Sonoma County Alliance a fierce game and the TOPS came out with a vitory win of 4-0 . With two wins under their belt, the TOPS returned Sunday for day two of games going for the Championship. The girls came out Sunday with tons of energy and excitement and defeated Central Marin Black Magic with a 7-1 win! This earned the TOPS a spot in the Championship game playing against Novato United. The TOPS played the Championship game flawlessly! They played and won as a team with a 6-0 victory! The teamwork of Natalia Bartolome, Alex Carpio, Allison Chang, Samantha Conlon, Kyanna Cruz, Andrea Dan, Anmol Gill, Alexia Gutierrez, Jordan Hong, Chloe Lujan, Jessica McNair, and Minah Yang was impressive! The entire tournament only one goal was scored against us and we scored a total of 14 goals! Your athleticism and endurance shined through the entire tournament! Congratulations and keep shining! Santa Clara , CA (May 28,2012) Congratulations to UC Premier Inferno U13 girls for being crowned 2012 Sporting Girl Invitational Champions!!! 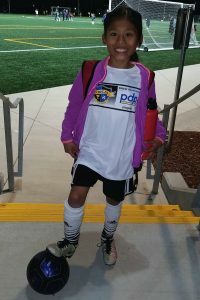 Only in its second year, the Sporting Girl Invitational (SCI) tournament has quickly become one of the most prestigious soccer tournaments in Northern California, attracting the U9-U18 elite in and out of state teams. Inferno began the tournament with a huge 1-0 win over #3 ranked (Nevada) Carson FC Wolfpack from the state of Nevada. In the second match, Inferno defeated #6 ranked (Northern California) Manteca FC Red Devils 1-0. In the semi-final match, Inferno defeated another highly ranked #5 Nevada team, Sagebrush FC Gunners 1-0. The Championship match saw a rematch with Carson FC Wolfpack, who defeated last year’s Champions, #6 ranked ( Northern California) Santa Clara Sporting 98G Green. It was dejavu for the Wolfpack as Inferno defeated them once again with a final score of 1-0. Last year, Inferno finished the tournament with a disappointing 1-3 record. 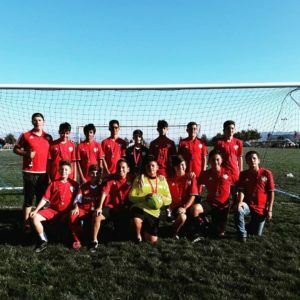 This year, Inferno ranked #42 (Northern California) and looking like a far underdog, finished the tournament with an astounding 4-0 record and didn’t allow one single goal against them in 4 matches, to be crowned 2012 CHAMPIONS! We figure the Inferno team ranking will be moving up the ladder very quickly after defeating a number of highly ranked teams and capturing such a prestigous high level soccer championship. Congratulations to UC Premier Barcelona 97 U15 boys who had an epic showing at the San Jose FC College Showcase in Morgan Hill. The top 8 teams in Northern California age group U15-U17 were personally invited to participate in the prestigious college showcase. The event was put together to attract the top college coaches as well as give an opportunity for top local players to receive a tremendous amount of college exposure. Over 50 college coaches were in attendance throughout the weekend. Coaches from Stanford, Cal, University of Washington, San Jose State, Santa Clara, West Virginia, Cal Poly, UCSB, U of Portland, LMU and many more attended. Barcelona 97 started the showcase off with a historical 2-0 defeat of Milan FC Rossoneri, ranked #2 in Northern California and #4 Nationally! In their second match, Barcelona 97 fell 3-5 to #3 ranked Marin FC 97. In the third and final match of the day, Barcelona 97 defeated the San Jose Earthquakes Academy team 3-2. UC Premier would like to congratulate Josue Sanchez from UC Premier Barcelona 97 U15 boys. Josue has been invited by the U.S. Soccer Federation to attend the U.S. training center for ’92-’93 players to be held on June 5th in Dublin, Ca. U.S. Soccer Training Centers are designed to replicate national team training camps, and as part of creating this type of environment only players and coaches are welcome. As the National Governing Body of soccer in the United States, and under the auspices of the United States Olympic Committee, they are empowered and charged with developing the teams that represent the United States in all international competitions such as the Olympics and World Cup. The Training Center Program is an integral part of this process. CLOVIS, CA(APRIL 1,2012) UC Premier Tops 10U Division(11U Fall) welcomed four talented new players to the team. The TOPS have been training together in anticipation for their first Norcal Playdate! They played as if they had been together for years! The rain had not let up all night but as morning came the fields were ready and the girls had their game faces on. Their first game was against the South Valley Chivas Academy in which the TOPS won 4-1. They were back on the field within an hour to play an exciting match against COSC Odyssey01 Girls Red. The TOPS played hard and prevailed with a 3-1 win. In their third and final game of the day, the girls came out with tons of energy and excitement. The TOPS defeated the Ajax United Premier 02 Team winning 6-0! The TOPS played three challenging matches and represented UC Premier well! The TOPS teamwork won them three games scoring 13 goals and only giving up 2! The outstanding teamwork offensively and defensively of , Natalia Bartolome, Alex Carpio, Allison Chang, Samantha Conlon, Kyanna Cruz, Andrea Dan, Anmol Gill, Jordan Hong, Chloe Lujan, Jessica McNair, and Minah Yang was impressive! Congratulations TOPS on your success as a team and best of luck in your Spring Season! Congratulations is in order once again for U13 UC Premier player Denisse Ramirez. Denisse has been recommended by the NorCal Premier PDP coaching staff to US Club Soccer to be part of the Id2 regional camp this Spring at UC. Irvine, April 19 to 22. 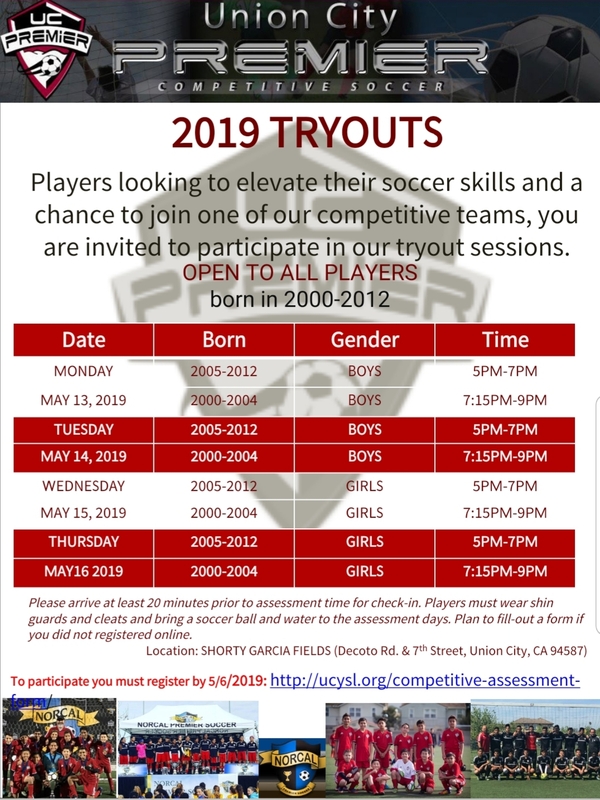 Established in 2004, US Club Soccer’s id2 National Identification and Development Program provides an opportunity for the country’s elite youth soccer players to be identified and developed, while also being scouted for inclusion in U.S. Soccer’s National Team programs. A comprehensive national scouting and recommendation program is used to form a player pool from which top players are invited to attend an id2 Program Training Camp. Chelsea Juventus Torneo dei Presidenti Champions! Congratulations to UC Premier Chelsea U11 boys on winning their first tournament championship of the 2012 year at the Juventus Torneo dei Presidenti 2012! 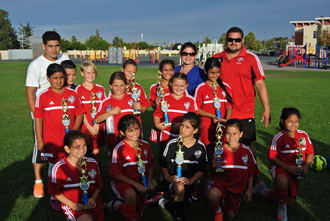 Manteca , CA (Sunday November 20, 2011) UC Premier Tops U10 Girls end their season with an incredible finish! 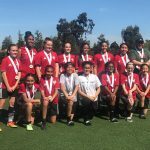 The TOPS had battled to the finals securing their Top 8 spot in the Norcal State Cup and would move on to face some challenging teams in the finals. The Girls represented their Soccer club with pride as they played their hearts out in the finals. The TOPS captured 5th place in the Norcal State Cup! The team faced fierce competition throughout the State Cup games. Out of 86 teams in Norcal the TOPS secured 5th! An amazing and proud moment for the players and Coach Rob Hernandez. The TOPS team, Natalia Bartolome, Kyanna Cruz, Jordan Hong, Anmol Gill, Alex Carpio, Dawson Bell, Andrea Dan, Jessica McNair, Jasmine Barbosa, and Logan Bell also took 1st place in their league, 10U Girls Norcal Silver Elite League Champions! This has been a fantastic season for the TOPS and the girls have grown and developed into elite soccer players. The level of competition throughout the season was high however the girls never let that get in the way of them competing for the prize. The TOPS did an outstanding job and were excited to bring home the 5th place title to the Union City Soccer Club. The TOPS parents, players, and Coach Rob would like to extend a warm thank you to Union City Premier Competitive Soccer Club for their continued support throughout their season! Dublin, CA (September 25, 2011) – This past weekend the Galacticos were in the Dublin Fall Classic. They opened on Saturday with a 5-2 win over Livermore Fusion in the morning and a 6-3 win over the Mustang Outlaws in the afternoon. On Sunday the Galacticos faced the host team Dublin Arsenal in the semifinals and came away with a 4-1 victory giving the Galacticos a 3 game sweep over The Silver East Div. In the Finals the Galacticos faced a Livermore Fusion Gold team and fell short 3-1. Although they came up short the Galacticos played hard and tough and took 2nd Place. San Rafael, CA (August 28, 2011) – Congratulations to the UC Premier Shooting Stars for their first place finish in this year’s Central Marin Premier Challenge. The Stars kicked off the tournament facing East Diablo Impact. After 40 minutes of play the Stars had to settle for a 1-1 tie. In their second match the Stars bounced back and out powered Mill Valley with a 5-0 victory. In the third match the Stars were down a player due to fever and had to work super hard. Their efforts paid off and were able to beat the Alameda Islanders 4-0. 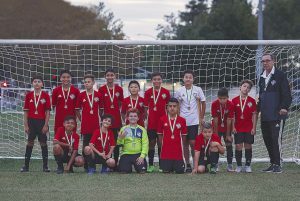 The Shooting Stars tournament record of 2-0-1 earned them a spot in the Championship match and another shot at East Diablo. Both teams played hard and put up a fight. In the end the Shooting Stars’ hard work paid off and earned them a first place finish with a final score of 2-0. Pleasanton, CA (August 14, 2011) – UC Premier Barcelona U15 boys win the 2011 Ballistic Summer Challenge. In group play Barcelona beat Placer United 8-0, PAC Atlas 3-1 and Ballistic Elite 5-0. In the semi-final match they beat Heritage United 5-1. In the final they faced their rival Atletico Santa Rosa Santos and walked away with a 2-1 victory and claimed the 2011 Ballistic Summer Challenge title..
Turlock, CA (Sunday April 18, 2011) After four great weekends of hard-fought games, UC Premier Diamonds captured the 2011 NorCal State Cup in the silver division. Throughout the tournament, the Diamonds beat inter Rage Academy 4-2, Cap FC 2-1 and had only one loss. In the semi-finals “We fought hard and kept sustained pressure on them ”, said Alex Ramirez, Head Coach of the Diamonds. In the final the Diamonds faced a tough Ajax united side. Their ability to press Ajax and create chances was ultimately the difference leading the team to a 3-2 victory. Alex continued, “We are very proud of the team’s effort and ability to not lose focus in a tough match, which was the difference and key to our success”. The team played extremely well throughout the tournament and should be proud of their performance. Ripon, CA (Sunday December 19, 2010) The CYSA Founders’ Cup Championship highlights a phenomenal season for UC United. 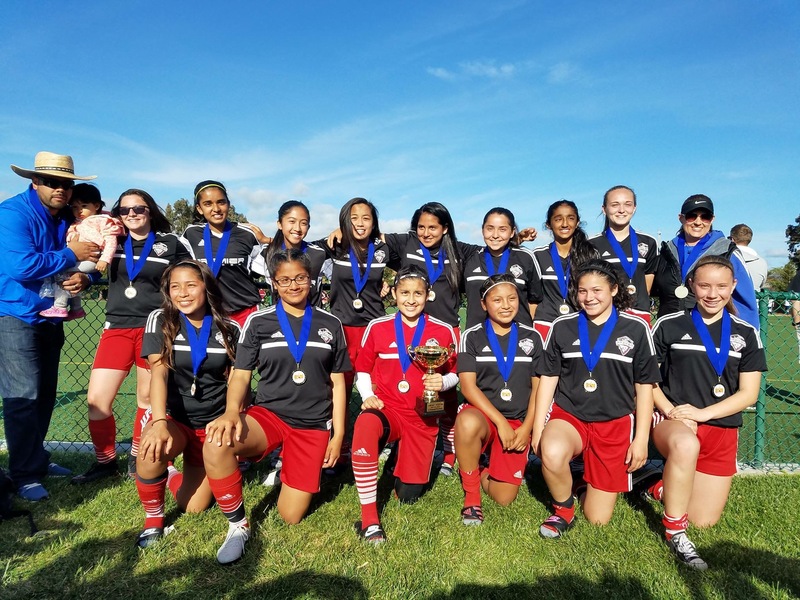 They finished league play (consisting of teams from Fremont, Newark, and UCYSL) with a stellar 12-1 record earning them the U14 Girls Division League Championship Cup. In the Founder’s Cup tournament UC United went 2-1 in the first round of group play. United won their quarterfinal match and won the semi-final match in penalty kicks advancing them to the championship match where they faced the Figgarden Bullard Fire, the team that defeated United 3-1 in the second match of the tournament. UC United players overcame all odds and earned themselves a 2-1 victory in OT by a last second goal by Deandra L. and the title of 2010 CYSA Founder Cup Champions! UC United team members are Felicia Arroy, Angelique Bonilla, Lorna Calderon, Leah Chong, Tatiana Cook, Alicia Corniel Ochoa, Julisa Elizade, Courtney Facha, Karen Gomez Frias, Sara Huete, Kristen Kowaki, Deandra Lee, Jenny Ly, Lauren Maldonado, Liana Ochoa, Lauren Orozco, Gina Southard. Coaches are Jeff Orozco, Antonio Ochoa, assistant coach Jeffrey Orozco and Team Mom Susie Orozco. Sponsors of the team are Fremont Chapel of the Roses, and Carol Dutra-Vernaci, EA. Redwood City, CA (Sunday December 12, 2010) UC Premier TOPS, U-9 girls Division I soccer team, concluded their inaugural season by winning the championship of the Juventus Coppa d’Oro tournament Dec 11-12. 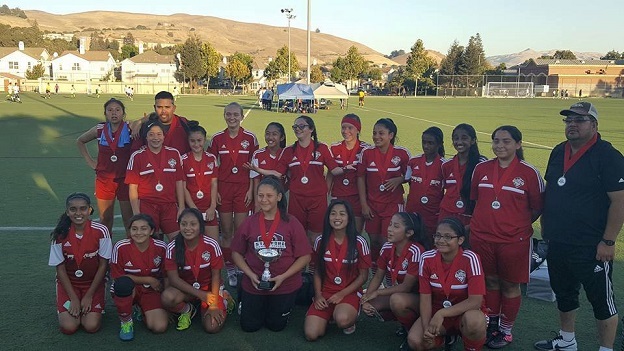 The TOPS captured the NORCAL Premier silver division league title and played in seven tournaments\Jamborees throughout the year. The team finished with an impressive 26-8-3 overall record, scoring 102 goals while allowing 38. The TOPS, who only rostered 11 players, were able to achieve success with hard work, strong coaching, and a lethal combination of speed and aggressiveness. TOPS players include Annika Kennedy, Logan Bell, Jordan Hong, Kyanna Cruz, Alex Carpio, Dawson Bell, Natalia Bartolome, Andreea Dan, Jessica McNair, Marwa Nekrawesh and Anmol Gill. The TOPS, who are coached by Rob Hernandez, will be holding tryouts for the 2011 team in February. Union City, CA (Sunday November 30, 2010) UC Premier TOPS, U-9 Division I girls, captured the NorCal Premier silver division league title with an outstanding 8-0-2 record. Playing competitive soccer for the first time, the TOPS were able to meet each weekly challenge with strong team unity, aggressive offensive play and a stout disciplined defense. The TOPS concluded the fall league season scoring 29 goals while only surrendering 2. TOPS players include: Annika Kennedy, Logan Bell, Jordan Hong, Kyanna Cruz, Alex Carpio, Dawson Bell, Natalia Bartolome, Andreea Dan, Jessica McNair, Marwa Nekrawesh and Anmol Gill. The TOPS improved each week thanks to the coaching of Rob Hernandez. Las Vegas , NV (Sunday October 24, 2010) Congratulations to Barcelona 97 for a great finish to powerhouse weekend at this year’s Las Vegas Mayor’s Cup. Barca shook off their nerves after an intense first match and routed Manchester United (ranked #6 in Nevada) 2-0. On Sunday Barca found themselves in a tough semi-final match where they faced the #1 nationally ranked LV Sports Academy 97 Red. The boys played a great game and absolutely earned their 2-1 victory placing them in the finals where they faced #4 nationally ranked Las Vegas Premier97 White. In the final Barca played hard and ended with a 2nd place finish. This finish was a great accomplishment for the 2010 season given the team started the year ranked 18th. It is so exciting to be competing at this level. Congratulations to the Barcelona97 players, their coaches and supportive families for a year of amazing growth and development!!! Union City, CA (Sunday September 26, 2010) The Union City Premier Earthquakes U9 boys had an impressive weekend at SoccerPalooza where they won all three games during group play. The Earthquakes accomplished this by scoring 17 goals and only allowing 3 goals. They defeated Central Valley Titans White (6-0), El Dorado United Crew Azzuri (3-1), and El Dorado United Crew Calcio (8-2). Their efforts catapulted them into the finals where they only allowed 1 goal and scored 4 goals beating Central Valley Titans Red. 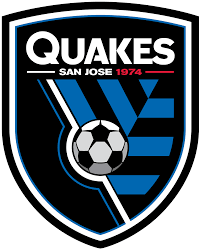 Congratulations to our Earthquakes, job well done! Morgan Hill , CA (Sunday August 29, 2010) Union City Premier Fusion fell short of their second cup of the summer in this year’s Magic Cup. Fusion allowed only one goal in group play as they faced MVLA Monsoon Blue (tied 1-1), Los Gatos United Pride (W 3-0), and Palo Alto Blue Thunder (W2-0). In the final a last minute goal against Fusion gave MVLA the victory and Fusion and had to settle for 2nd place. Despite the loss Fusion played well all weekend. Novato, CA (August 8, 2010) UC Premier TOPS, U-9 Division I girls, began their summer tournament season by dominating the Novato Classic Tournament and capturing 2nd place. The TOPS came out and played disciplined soccer in game 1 leading to a (4-2) win over the Rincon Valley Dragons. In game 2, the TOPS thoroughly controlled the action and efficiently dispatched the host Novato United (7-1). In the quarterfinals, the TOPS took on league rival Livermore Fusion White. The TOPS dominated the action winning (6-1). In the semifinals, the TOPS found themselves facing a determined Mustang Pride team. After a scoreless 1st half, the TOPS used some excellent passing to net the game’s 1st goal. From there the defense took over blanketing the Pride resulting in a (2-0) win. In the championship game, the TOPS met the Livermore Fusion Black. The TOPS netted the game’s 1st goal and led 1-0 at the half. The game turned physical in the 2nd half and the TOPS, who played with only 9 players for most of the weekend, succumbed to fatigue losing (3-1). The TOPS went through the weekend giving up only 7 goals thanks to Annika Kennedy, Logan Bell, Jordan Hong, Kyanna Cruz, and Alex Carpio while scoring 20 goals thanks to Dawson Bell, Natalia Bartolome, Andreea Dan, Jessica McNair, and Marwa Nekrawesh. San Ramon , CA (Sunday July 25, 2010) Union City Premier Fusion U11 girls kicked off their tournament summer at the San Ramon Valley Cup where they defeated all opponents (18-3) in group play. Fusion defeated San Ramon Azuri00 White (6-1), LMSC United White (7-1), and EDYSL Impact 99 (5-1). In the final Fusion shutout Mustang United 2-0 to capture the valley Cup. Congratulations to Leaness, Elisa, Kayla, Iridiana, Haylee, Julia, Reana, Vanessa Talia and Makayla for your outstanding performance. Pleasanton, CA (Saturday May 29, 2010) UC Premier Inferno completed the 2010 spring season with a perfect 10-0 season. Inferno concluded the season with a commanding 4-0 shut-out over Pleasanton Rage White this past weekend. During their run Inferno recorded 7 shut-out victories and only giving up 4 goals and scoring 41. On behalf of Union City Premier we would like to recognize you for your hard work and accomplishment. Thank you for the dedication and keep up the great work. 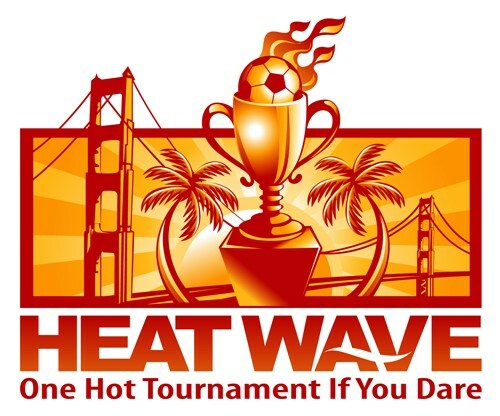 HEAT WAVE tournament – April 20-21, 2019 – click here to find out more! Union City Premier Legends 2003 finished second at their first ever tournament, the 2017 SRFC Soccerfest! Congratulations!